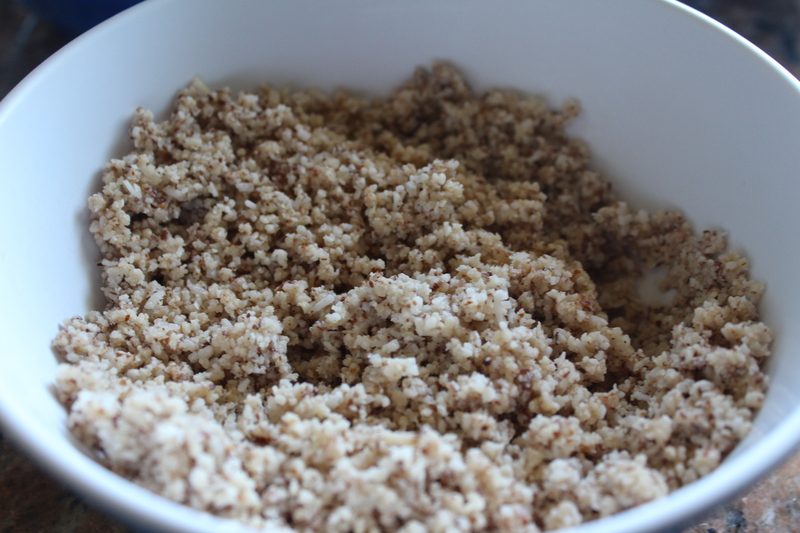 Process the desiccated coconut and almond meal for 2 minutes then add the honey and coconut oil and process again until the mixture has evenly combined. 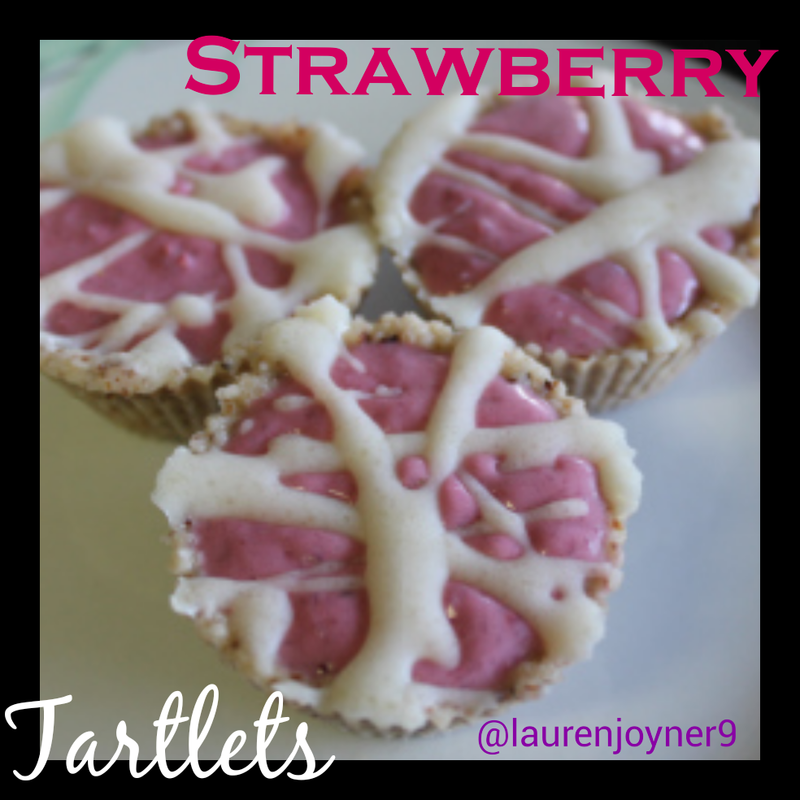 Use silicone cups for this recipe because it will be easier to form the tart shape. 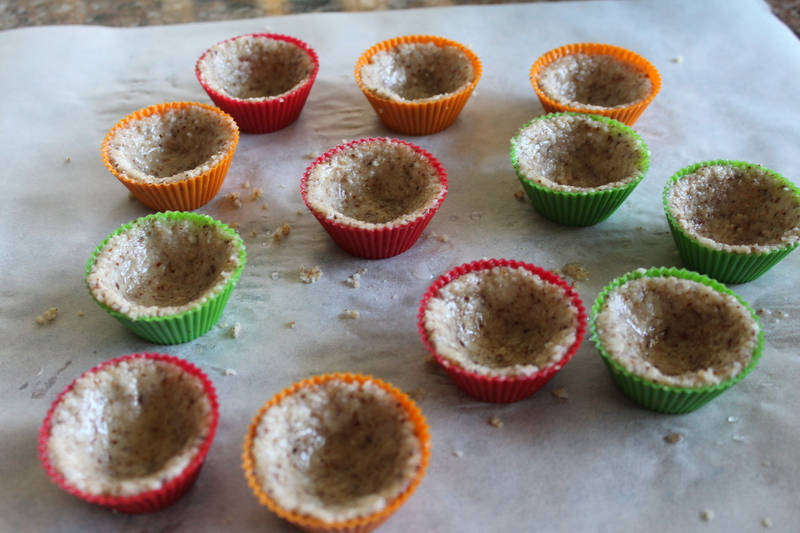 Separate this mixture between the 12 silicone patty cups and freeze for 10 minutes. While the base is setting start working on the strawberry filling. 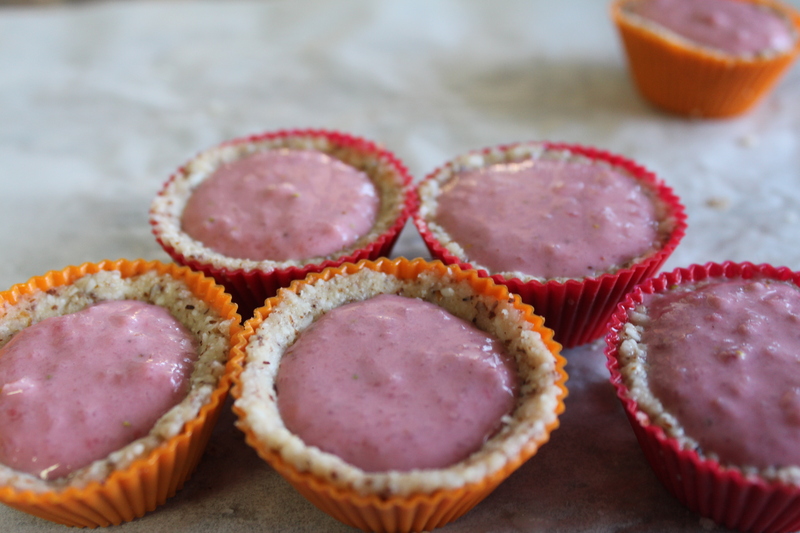 Wash the strawberries, cut the tops off and process them along with the cashew butter and coconut oil. 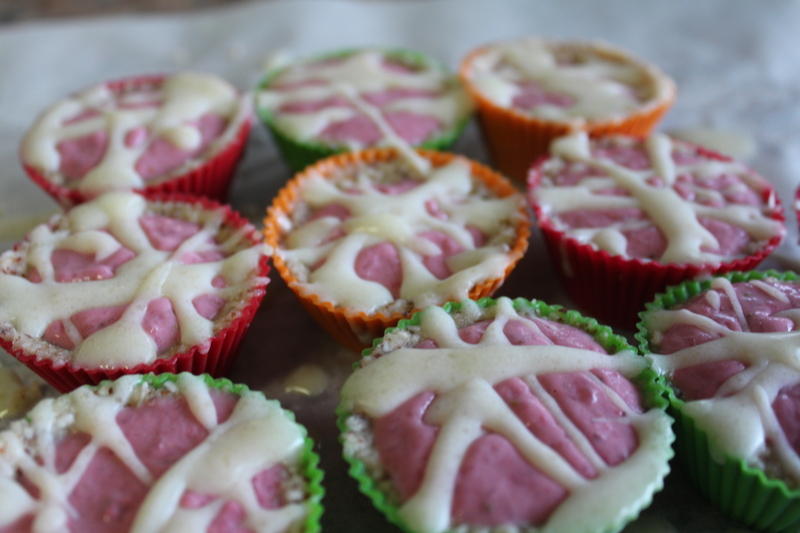 Pour the strawberry filling into each patty cup and freeze again for 5 minutes. Mix the coconut butter, honey and coconut oil together and drizzle over each patty cup.